Have you ever heard of cinnamon snack toast? 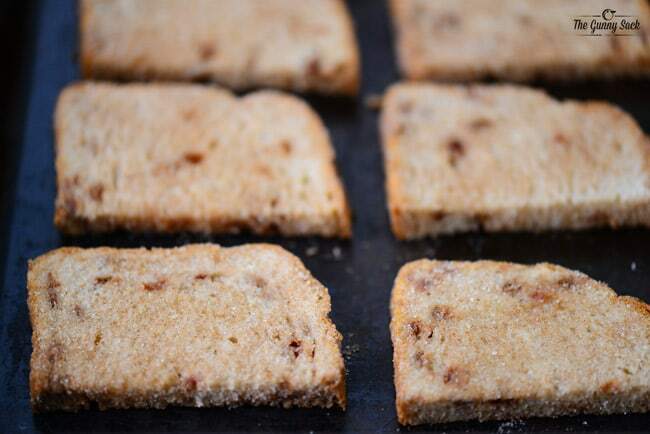 It is a crunchy, crispy cinnamon toast that has small, but intensely dedicated following. Unfortunately, the company that made cinnamon snack toast decided to stop making it and the cinnamon toast lovers are having to let their cravings go unfulfilled. My dad has one of those people. When he could no longer find the cinnamon snack toast at the grocery store, he got in touch with the company and found out that they were discontinuing the product. So, he turned Amazon and ordered all that he could. He also went to the local grocery stores that the company told him they used to supply and bought up whenever he could. After his stockpile ran out, he started contacting local bakeries to see if they sell cinnamon snack toast but unfortunately none of them do. He found Trenary Toast but the shipping cost was too high for him to be able to order on a regular basis, although friends and family who visit Michigan’s UP have brought some back for him occasionally. Then, of course, he turned to me, the daughter with the food blog, wondering if I could make him some. I felt sorry for the poor guy and told him that I would have a couple different kinds for him to try by Father’s Day. And of course, he was delighted and said you promise? 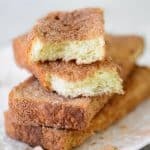 So, I started researching and talking to people about how to make cinnamon snack toast. 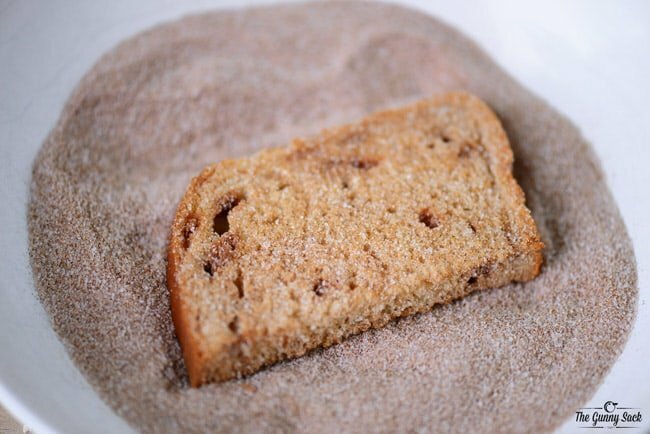 I tried a recipe for cinnamon rusks which was delicious but the texture was more cake-like and they reminded me of biscotti. 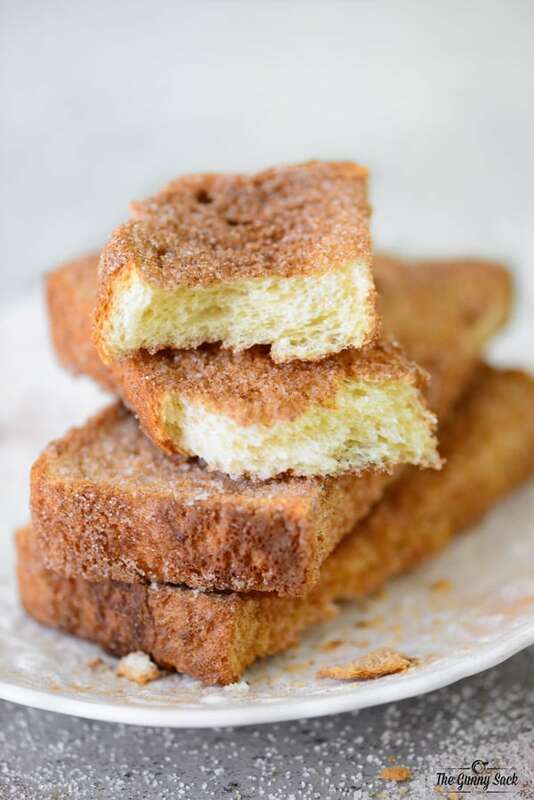 I found a recipe for homemade zweiback which looked appealing but with how much my dad loves cinnamon toast, I knew I couldn’t commit to making homemade bread for him every week. 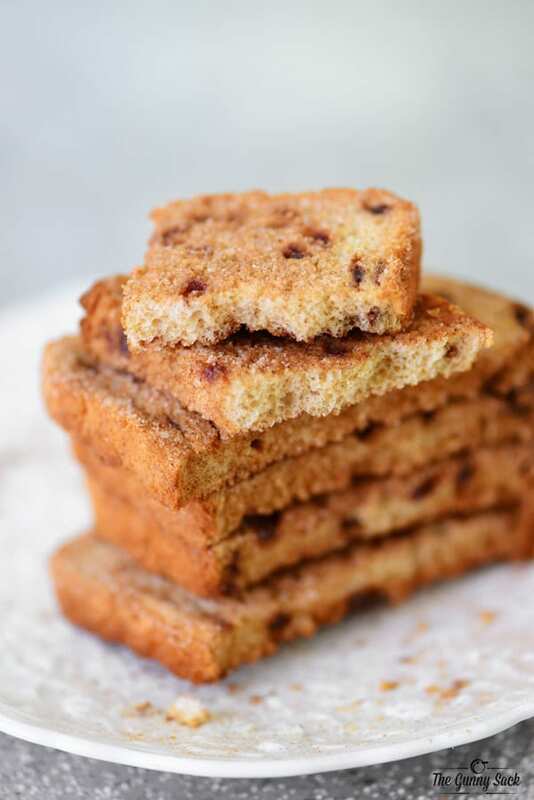 Then, strangely enough, one evening we were telling my husband’s brother about my quest for cinnamon snack toast and he told us that my mother and father-in-law have been making cinnamon toast for my husband’s grandma who also loves it but hasn’t been able to find it! We were stunned! 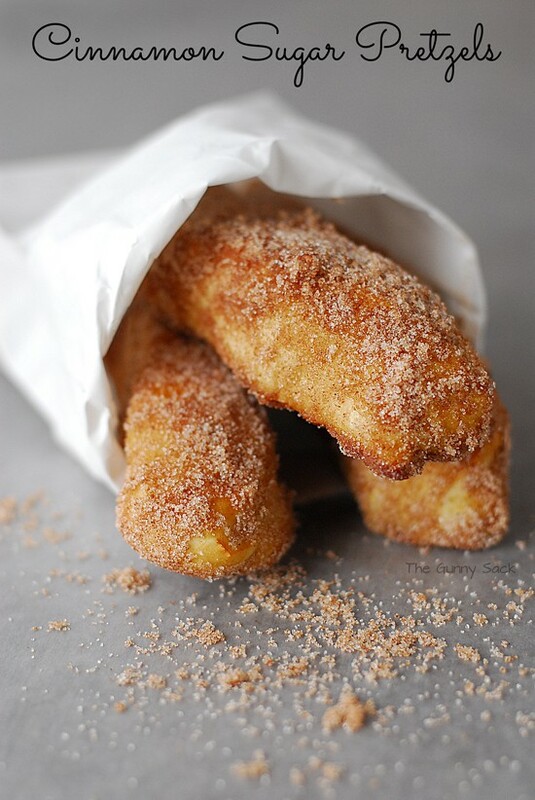 They make it in a toaster oven and only put cinnamon sugar on one side but that is where this recipe came from. 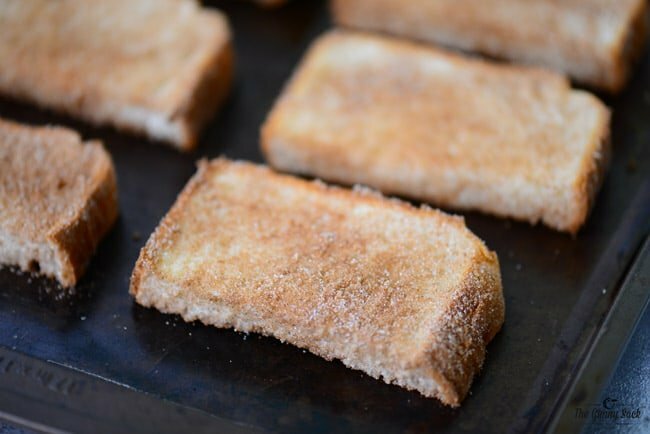 You can use whatever kind of bread you want to make this cinnamon toast. I made it with Texas Toast Bread and Cinnamon Burst Bread. The Texas Toast Bread is much thicker, but the Cinnamon Burst Bread is a sweet bread. 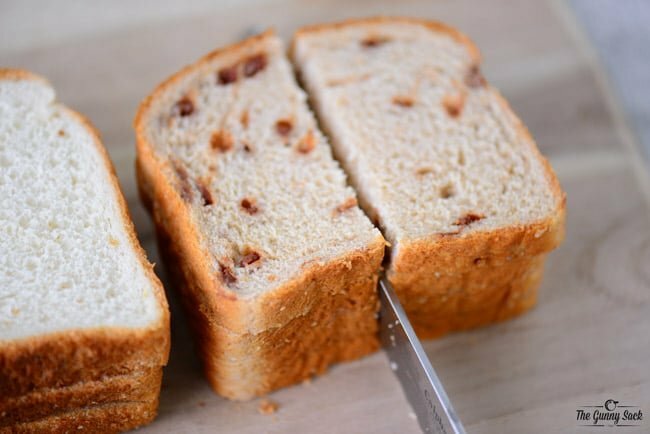 Whichever bread you choose, start by cutting several slices in half. 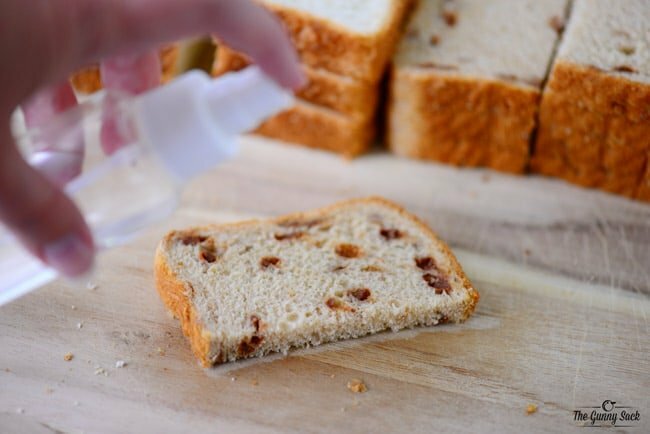 Fill a small, misting spray bottle with water and lightly spritz a slice of bread on both sides. Coat both sides of the bread with a mixture of cinnamon and sugar. Lay the slices on a large baking sheet. I used my jelly roll pan. If you are doing more than one kind of bread, use different pans for different thicknesses because the thinner bread will take less time to bake. 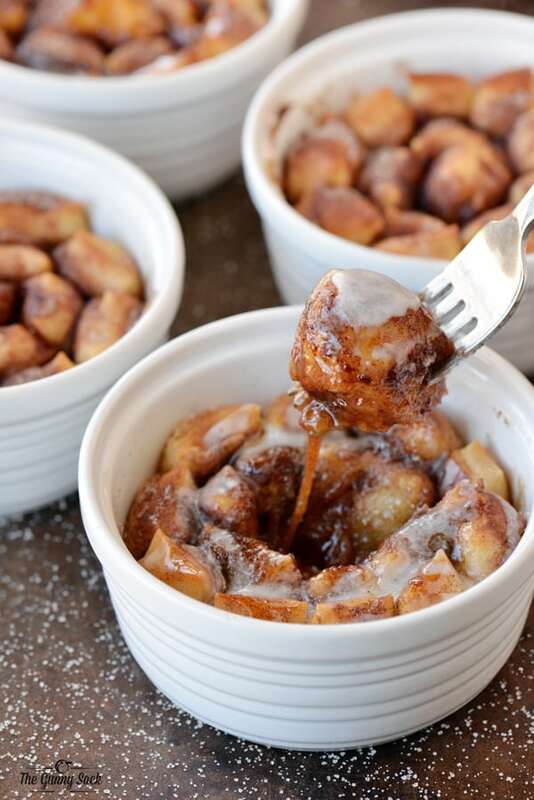 Bake at 220 degrees for 45 minutes and then flip the cinnamon toasts over. Return to the oven and bake for an additional 45-75 minutes, until the bread does not give when you press on it. You want it to be dry, hard and crunchy. Allow the cinnamon snack toast to cool completely before moving it to a storage container. Technique from my wonderful mother and father-in-law! Mist the slices of bread, one at a time, and coat them in the cinnamon sugar mixture. Lay coated bread on a baking sheet. Bake at 220 degrees for 45 minutes and then flip the cinnamon toasts over. Return to the oven and bake for an additional 45-75 minutes, depending on the thickness of your bread, until the bread does not give when you press on it. You want it to be dry and crunchy. Oh my goodness your dads story could be mine! Thanks so much for posting this I can’t wait to try it!! Delicious and easy, but if you’re feeling lazy (or nostalgic) Roers Family Bakery in Alexandria, MN sells a loaf of 12 slices for $2.60. Thanks for sharing this recipe. My father also loved cinnamon toast snacks and got me hooked on it. Up until about a year ago, I could still purchase a large bag – made on site at the local supermarket. Now they carry the Michigan brand, but it’s too costly for my budget. Can’t wait to try this, and it will serve a dual purpose. With only my husband and I these days, I often end up with at least a 1/4 of a loaf of bred beginning to mold before we can eat it. Now, I’ll just turn half the loaf into cinnamon toast snack as soon as I open it! Thanks for the recipe. 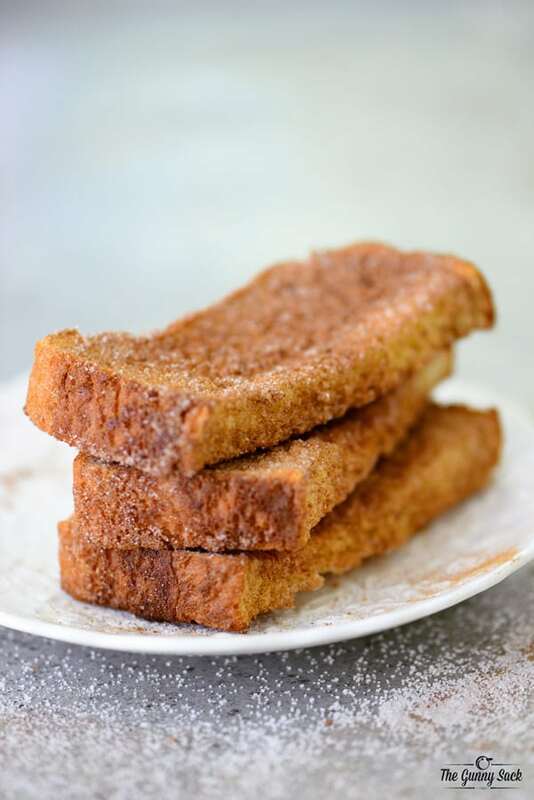 I got hooked on trenary toast when on a visit to the UP .my mom used to make us kids a crunchy suger and cinnamon version to eat with our oatmeal on cold winter days. It was my favorite with the oatmeal as a kid. I’ve never had it with oatmeal but that doesn’t sound fabulous! Thank you for this recipe. My Grandma was Danish and she made things out of leftover hamburger and hotdog buns. She called them tweebokers. I don’t know if she made up that name or not, but this sounds just like what I need. Thank you. My husband and I buy this every time we go to the upper Peninsula. It’s so good. Thanks for the recipe! It can also be obtained at Herman’s Bakery in Cambridge, MN. They have been making it for over 75 years. It is the best. Thank you so much! I too have missed eating cinnamon rusks /toast and couldn’t find it anywhere! Today is my Mother’s 100th Birthday! She’s in heaven now, it’s been 3 years! But the caving to have a cup of coffee and cinnamon rusks, a little fika, she was Swedish is making my mouth water and my heart full of memories! I will try your recipes! So sad to learn that tge company discontinued such a tasty snack, our babies loved it! I’ve been looking for this recipe for a long time! When I was very young (over 60 years ago), my Grandmother would butter the cinnamon snack toast and pour hot milk over it in a cereal bow!. She called it Milk Toast. Yum! I wonder if you could do this with spray butter/oil and other spices like garlic, thyme, basil, etc? Just wanted you to know that The Lindstrom Bakery in Lindstrom, Minnesota still makes and sells these cinnamon toasts. They do mail order on those and their traditional ginger snaps. I believe I read somewhere that you were in Minnesota, so thought you might like to know this. I haven’t tried your recipe, but the pictures look delicious. I love cinnamon. I’ve used many of your recipes. I haven’t had a bad one yet! 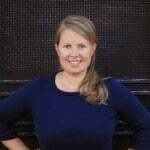 Thank you for your work on your site. It’s a favorite.